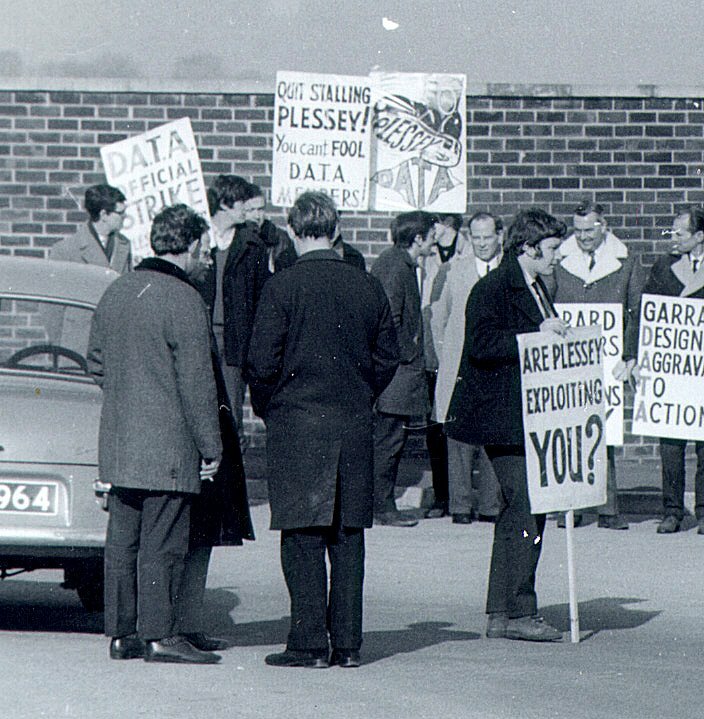 The Draughtsmen and Allied Technicians’ Association (DATA) strike in support of equality with the mainland lasted several months and was settled just in time for us to return to work for Cowes Week. Some names: Jack Linnett, Mike Chapman, Hugh Grayson. Photo courtesy of Alan Welfoot – origin unknown, copyright acknowledged.